Deciding to adopt a child can prove to be one of the most rewarding experiences of your life. Mothers who are not in a position to raise their newborn can also find comfort in knowing that their sacrifice was done out of love. Across the world, many countries are looking at the adoption process as means for helping families make the most out of their situation. If you are considering reaching out to any adoption agency in California, make the choice to speak to members from our quality adoption center. A is 4 Adoption focuses on creating a personalized care plan that focuses on delivering the best support services to both the adoptive parents and birth mother to ensure the best outcome for the baby. Our focus on domestic adoption ensures that prospective parents from across the country can receive the joy that comes with adopting a baby. 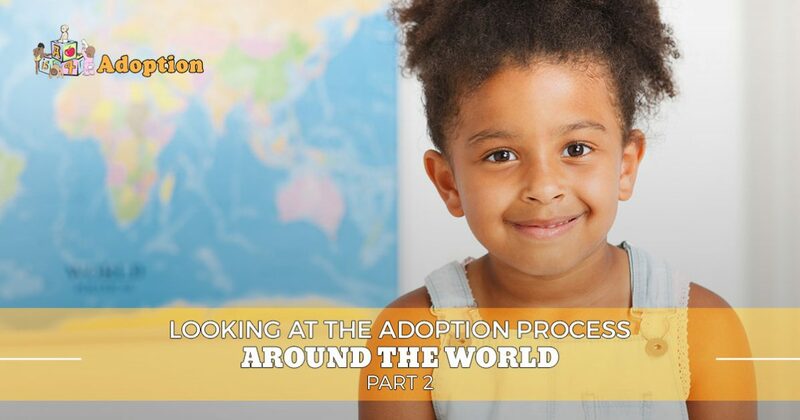 Today, we’ll continue our look into adoption systems around the globe. If you are considering adopting a child, feel free to contact us today to see how we can make the process as quick and seamless as possible! As we have stated previously, the social workers who specialize in adoption for UK couples will have the experience and training needed to discern a lot from the evidence they have gathered. One caveat that can slow progress for many adoptive parents is the fact that their social worker can choose whether or not to approve the process. If you are not in the right space at the time of adoption, they can choose to reject your application. Parents who have recently found out that they cannot have a biological child, for example, may prove to be too much emotional hardship to take on a child during this time. As long as everything appears to be in place, adoptive parents tend to see success after a variable amount of time. Adopting a child in Germany is based on older, yet updated, laws and guidelines. There is no age minimum on age for adoption, except that the biological parents may not consent to adoption until their child has reached eight weeks of age. Interestingly, the laws that dictate an age maximum have set forth that there technically is no age limit. However, once the adoptee has entered the age of majority in the country, they can only be adopted for approved moral reasons. This is done strictly to prevent abuse of the system. Married couples are often favored in Germany, although it is important to note that couples can only file jointly if they are married. Adoptions are allowed with families who already have children, although an emphasis is placed on whether or not this new dynamic will negatively affect the biological or adopted child. If a conflict exists, the process may be denied. Individuals can adopt a child, but only on their own if unmarried. Two people can marry and become joint legal guardians if the child is adopted to one of the two before the marriage, however. Overall, a strong focus is placed on the welfare of the child. For instance, it must be accepted that the child will be free to practice their own religion. Anyone hoping to adopt must also be at least 25 years of age. While the law is fairly open on age restrictions, guidelines dictate that couples over 40 may not be accepted. Additionally, the age between parents and child should not be more than four decades. Germany allows adoptions from government programs (which typically work together to become common adoption agencies) and nonprofit sources such as churches. Special agencies can also be utilized for international adoption measures. Next time, we’ll look at other approaches that the world takes on adoption. Learning more about the adoption process in different countries may help you realize how important it is to have a program that focuses on the welfare of the child and the two parties of parents involved. A is 4 Adoption is here to support this process, specializing in private adoption to help more babies reach the arms of more waiting parents. While your standard adoption agency in California works to deliver results, our center strives to enhance the process every step of the way. Contact us today if you are interested in learning more about our birth mother help and adoptive support services!